Posted in Food, Sweet Yummies	by Hi! I'm Jen. Anyway, I picked up some strawberries, blackberries and blueberries (all for under $6!) 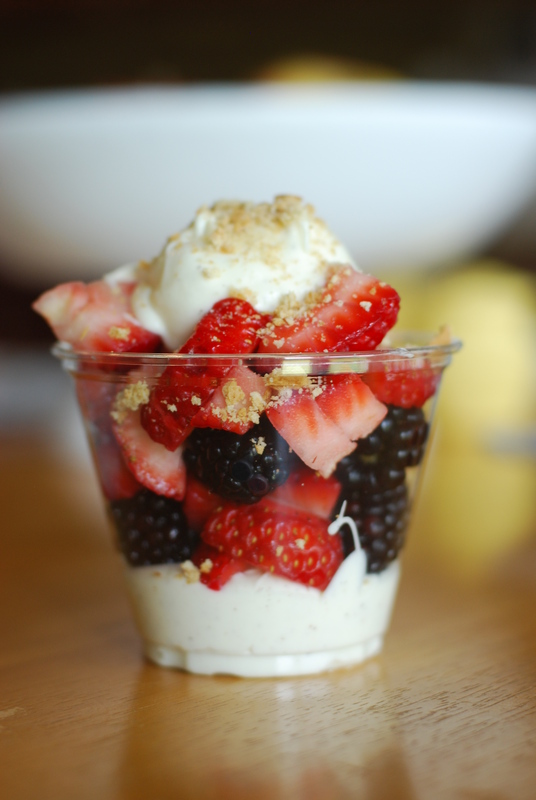 and made these perfect little parfaits. After gently mixing the berries, I got a small tub of marscapone (an Italian cream cheese you can find in most grocery stores in the specialty cheese section) and mixed in about one cup powdered sugar, 1/4 C. milk and 1 t. vanilla. Layer as you choose and then taste the goodness of summer! It was absolutely delectable. « Bet you can’t not move!